William R. McGee is licensed to practice law in the State of California. Mr. McGee is not licensed to practice law in states other than California. The web pages contained on this internet website are provided for informational purposes only, and do not suggest nor constitute any legal advice, and do not necessarily represent the opinions of The Law Offices of William R. McGee or any of it’s attorneys. No guarantees are expressed or implied that any of the materials are correct, complete or up to date. The information provided on this website and pages is not intended to create an attorney-client relationship between you and The Law Offices of William R. McGee. You should not rely on any of the information contained on this website without seeking the advice of an attorney. The State Bar rules require attorney offices to designate a single attorney responsible for this site. The Law Offices of William R. McGee designates William R. McGee as the attorney responsible for this site. 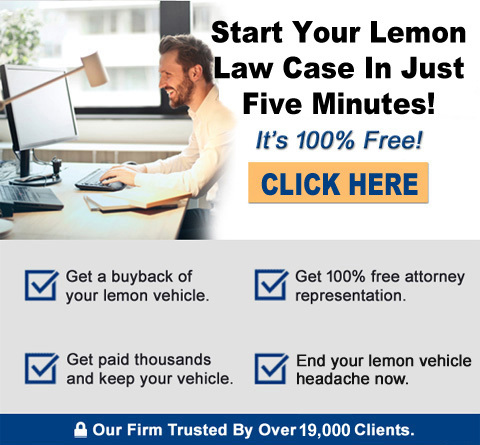 In internet advertising, the advertising copy “California Lemon Law Attorneys: “No Cost” or “No Costs” means that a case that that our firm chooses to accept for representation that meets all criteria for the California lemon law “presumption” rule, and that a substantial warranty non-conformity still exists qualifies for “no cost” representation to the consumer by our firm. Listed client testimonials do not constitute a guarantee, warranty, or prediction regarding the outcome of your legal matter if you were to become a client of our law firm. Notwithstanding the exchange of information (including documents) concerning a potential Lemon Law claim, no attorney/client relationship is formed and no services will be performed on your behalf, until a retainer agreement has been sent to you, signed by you, and returned to our office. NBC and the NBC “Peacock” art image are registered trademarks of NBC/Universal Corporation.